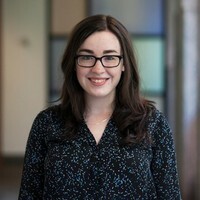 Allison Hrabar worked in the Anti-trust division of the US Justice Department until a report released in Sept 2018 by Project Veritas. She is a member of Metro DC Democratic Socialists of America, the Washington, D.C. branch of the Democratic Socialists of America. Cliff Walker Green, Allison Hrabar and Natarajan Subramanian were featured in an undercover video posted by Project Veritas on Sept 19 2018. The video shows Department of Justice paralegal Allison Hrabar "reportedly using government-owned software and computers to push a socialist agenda. Also featured is Jessica Schubel, the former Chief of Staff for the Centers for Medicare and Medicaid Services during the last Obama administration." Other Democratic Socialists of America members quoted in the article were Jen Snyder, an organizer with San Francisco Democratic Socialists of America who explained that the movement to focus on housing is strategic: She was quoted as saying: "When we talk about building a movement, we’re talking about getting the most amount of people to see that capitalism is working directly against their best interests. And housing is a damn good way to talk about that.” The San Francisco Democratic Socialists of America claims to have been pivotal in the success of a recent ballot initiative that passed in San Francisco that "establishes a universal right to legal counsel for tenants facing eviction." "The Metro DC Democratic Socialists of America started sending out 10 to 20 volunteer canvassers each weekend to do long days of door-knocking at rental units across the city. They hit roughly 200 doors on any given weekend, encouraging tenants to defend themselves from eviction." According to an "operations manual," their "strategy is to make it as difficult as possible to wield eviction as a weapon by raising the costs of evicting a tenant and flooding the channels that permit and carry out evictions." "A DSA working group in Washington, D.C. has identified a strategic chokepoint that will allow us to effectively challenge the city’s landlords: landlord-tenant court, the institution responsible for evictions. The power and profit of landlords always depends on eviction: housing can only be a commodity as long as owners have the right to deny shelter to people who do not pay. Our strategy is to make it as difficult as possible to wield eviction as a weapon by raising the costs of evicting a tenant and flooding the channels that permit and carry out evictions. Poor tenants have the latent power to clog the machinery of displacement, and we have developed a program to unlock that power." On June 19 2018, Margaret McLaughlin tweeted the address of DHS secretary, prompting fellow comrades to come troll her at dinner. Other DSA members included Allison Hrabar and Jesse Rabinowitz as reported at the Daily Beast in an article titled "DSA Says They’re Coming After More Trump Officials After Ruining Kirstjen Nielsen's Dinner." The group Smash Racism DC tweeted that the D.C. branch of the Industrial Workers of the World were also in attendance. Metro DC Democratic Socialists of America member Austin Kendall also joined the ambush. "Demonstrators occupied DXDC Cocina Mexicana at around 8 p.m. as Nielsen was attempting to have a meal with an unidentified man, according to a video posted on Facebook. "Staff members try to contain the situation as members of the Metro DC Democratic Socialists of America flood the restaurant, the video shows. In 2017, the Metro DC Democratic Socialists of America Election Working Group finalized a 29 member convention delegate list. The list included Allison Hrabar. Admins of the Metro DC Democratic Socialists of America, public Facebook group, as of March 12, 2017 included Allison Hrabar. Members of the Democratic Socialists of America Wholesome Meme Stash closed Facebook group, accessed November 14, 2017 included Allison Hrabar. At-Large Members (7) Elizabeth Golden, Allison Hrabar, Stu K., Kim Lehmkuhl, Margaret McLaughlin, Jacquelyn Smith, Rob Wohl. This page was last modified on 27 September 2018, at 00:53.